Remembering humanity while embarking on sales goals is essential. Too often, pursuit of sales numbers can get in the way of viewing the customer as a person; they can morph into just a number to add to a sales goal. Keeping the customer at the forefront of your practices can lead to a better relationship, which helps in the pursuit of your sales goal. 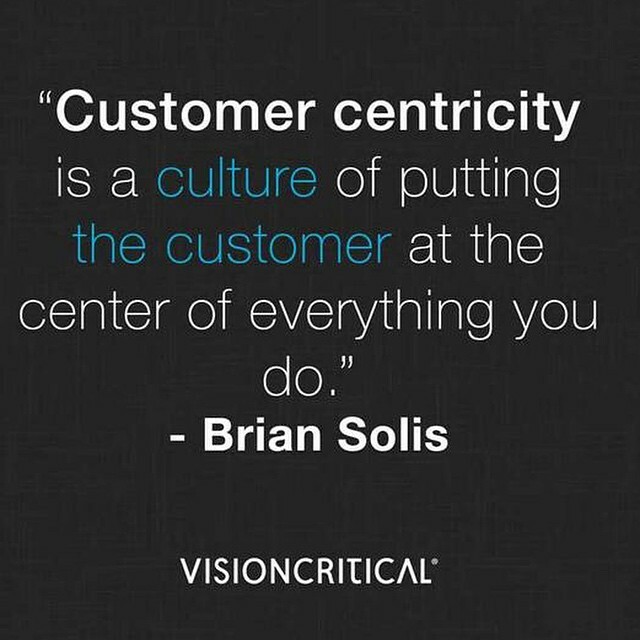 Customer centricity, as mentioned in the quote above, is necessary to your sales culture. People that are in your market are potential customers, but shouldn't solely be viewed as such. These customers are people that are seeking relationships and have similar goals to you, so appealing to their emotions, feelings, and brain may be essential. This is not to be mistaken as advice to make your customer your friend; this can cross into the territory of misinterpretation and loss of respect. Walking the fine line of customer and human being is what makes a good sales person.